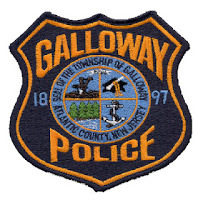 Galloway Township promoted a Lieutenant to Police Captain yesterday in a private ceremony held at the Municipal Complex, sources said. Lieutenant Christopher Doyle was promoted to Captain and sworn in by Township Clerk TC Kay. Kay released the Oath of Office after an Open Public Records Requests was filed by GallowayTwpNews.com. The Oath was administered by Kay and executed by Doyle on April 24, 2013. Doyle took the Oath to serve in the capacity as Captain of the Police Department. Doyle joins Allan Kane who already serves as Captain for the Police Department. Doyle was the last remaining Lieutenant in the Administration after the Police Department lost multiple officers on December 31, 2012 due to retirement. It has been since 2011 since the Township officially had two Captains, both of which retired after receiving a payout from the Township of $30,000 each in a deal elected officials said was arranged without their knowledge, according to online Press reports. Doyle is listed on the Township's Master Payroll as making a salary of $114,953.00, as a Lieutenant. According to PBA contract, as of April 1, 2013, Doyle was listed as making $117,252. Doyle's salary as Captain was requested but not released by Township Clerk TC Kay. We have requested a follow-up to that inquiry. According to Captain Kane's employment contract, Kane is listed as making a salary of $126,987.00 for 2013. As the Chief of Police Patrick Moran and Captain Allan Kane have their own employment contracts, we assume Doyle will also have a contract negotiated and voted upon by the Governing Body which will list his terms and conditions including salary. Township Council has stated over the past month that Public Safety is a priority and the Township is looking to increase their Police force. A request Chief Moran has been stating for some time.